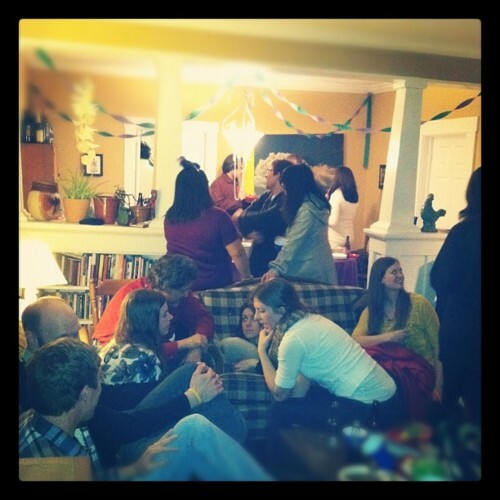 Mardi Gras is kind of a big deal for our crowd. 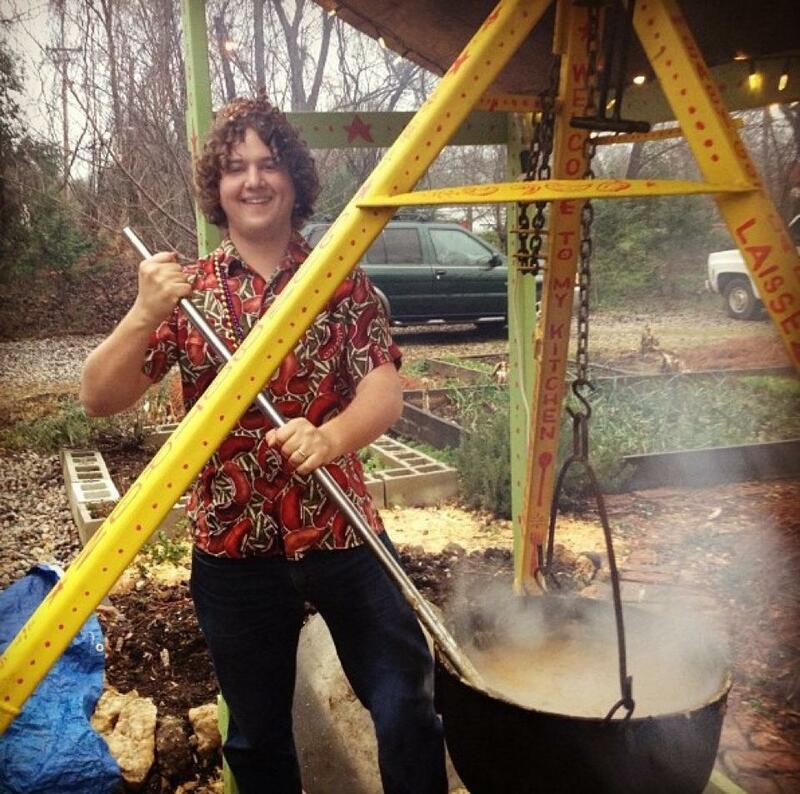 My friend Stephen lived in New Orleans for a year, and has infused a bit of the Big Easy into our communal rhythms here and there. 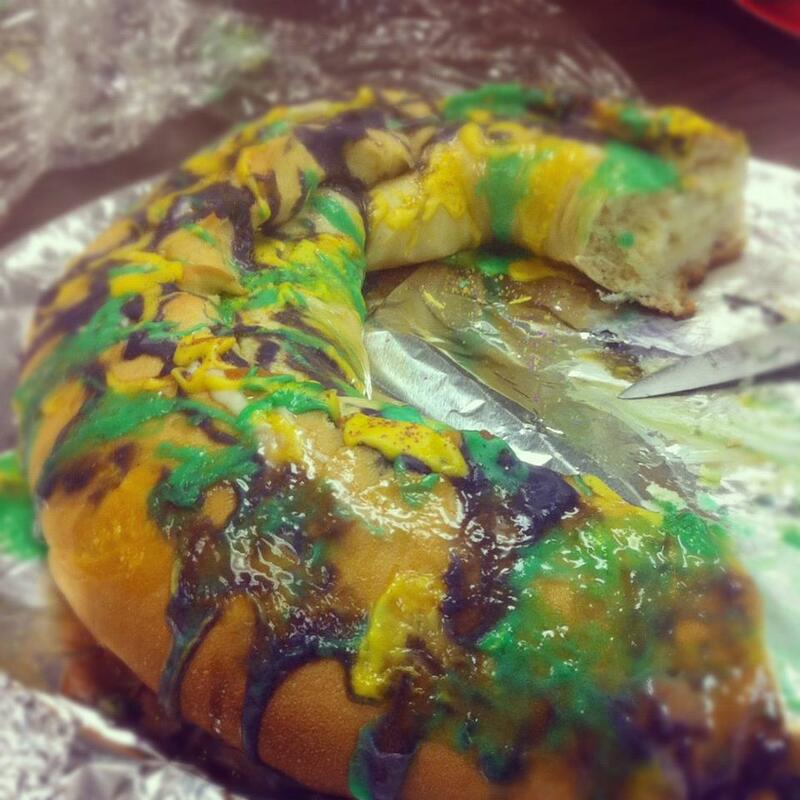 His annual Mardi Gras party is the least subtle of these NOLA cultural infusions. Ellie made me a green, purple and yellow gingham and seersucker bow tie for the festivities--and one for my good friend Andrew. Stephen, of course, supplied the Mardi Gras bling. Ellie also made a colorful supply of Red Beans and Rice--a great, easy "Washing Day" New Orleans dish, so called because you can just throw it in the crock pot in the morning, spend the day catching up on laundry, and it's ready as soon as the last load is folded and put away. Yum. The main event, however, was the gumbo. 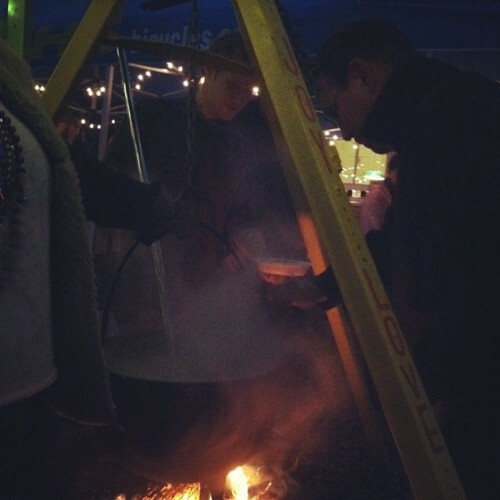 The Gumbotron (the big apparatus including the tripod that suspended the cauldron over the fire and the pavilion that kept the rain off the gumbo) was almost as awesome as the gumbo itself. 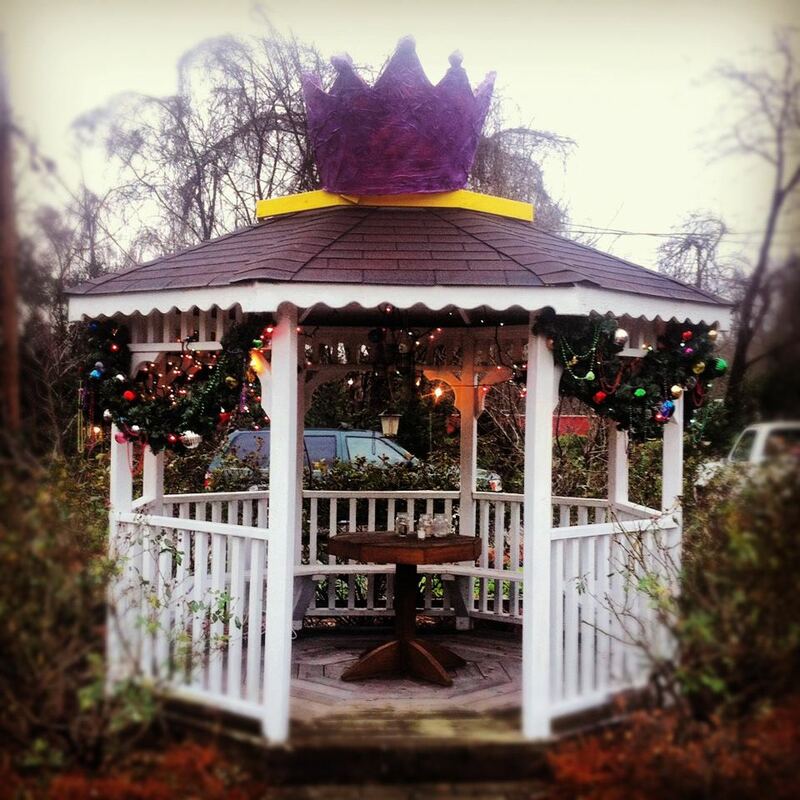 The gazebo was crowned in purple. 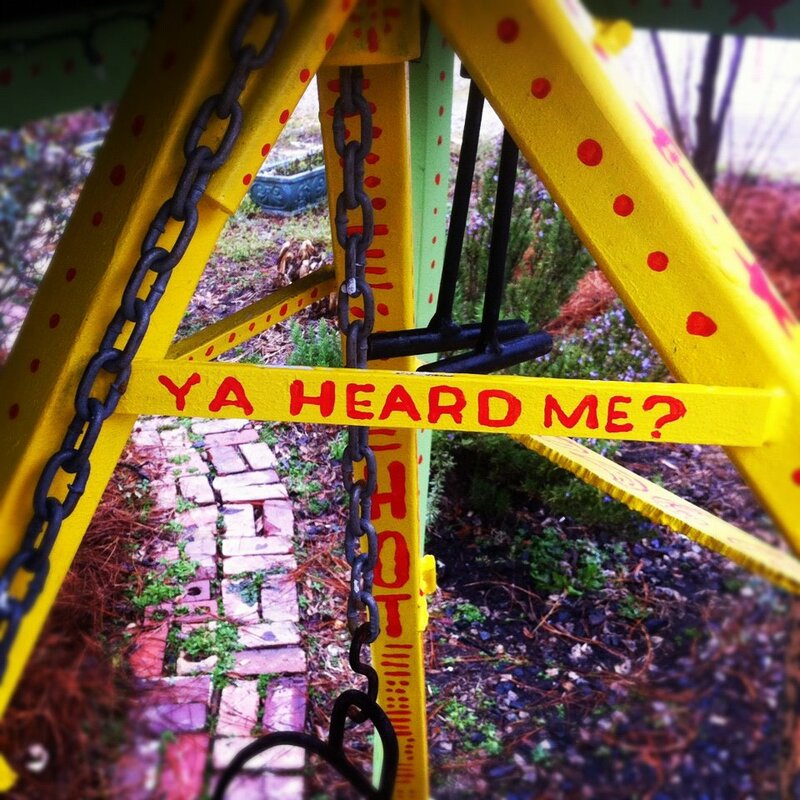 Various NOLAisms were emblazoned on lips as well as upon paraphernalia. Much joy was exuded outside and inside. 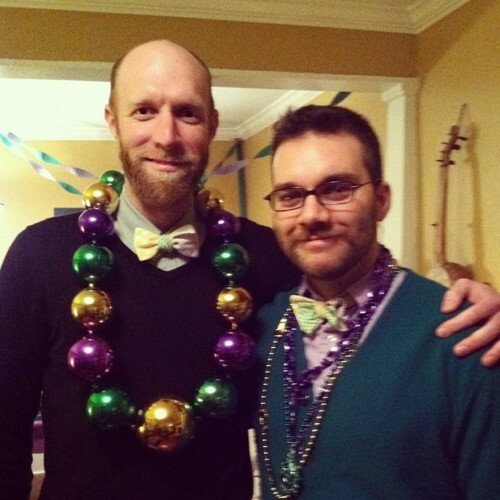 It would be ridiculous to say something like "Most importantly, go HERE to get the official Mardi Gras bow tie!" 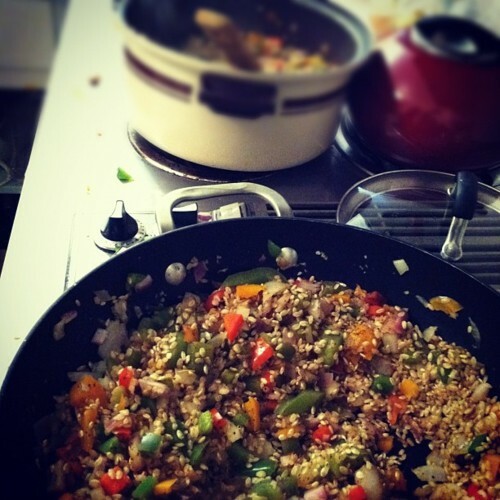 Obviously the most important thing is the food. But that's all eaten. Actually, the most important thing is the people. But they're not for sale. 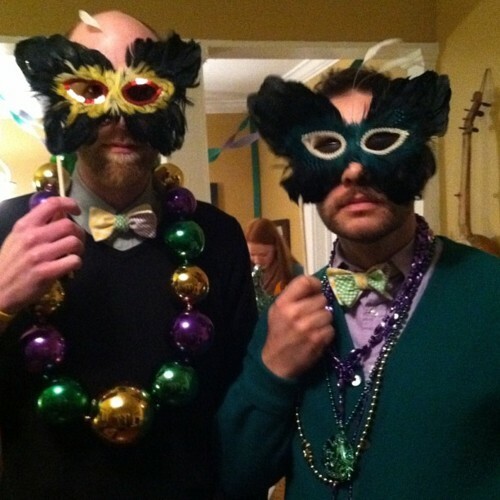 So, my advice is to get this bow tie and get cracking on planning your own Mardi Gras smash for next year. Here she is. Get it while it's available. 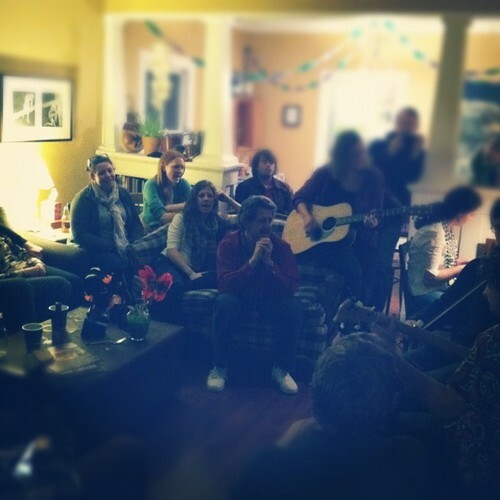 PS--as most of our gatherings do, the evening trailed off into an impromptu hymn sing. It's great to have a handful of guitarists, pianists, a violinist, a banjoist, and a lot of vocalists in the group. 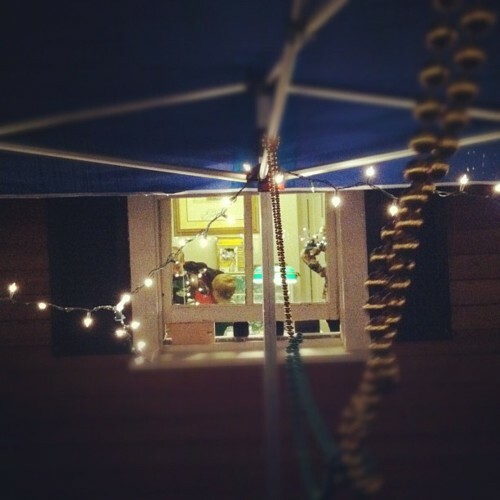 And great to solidify the connection between partying, joy, and hope.